Presentation of 50 competition finalists in a spectacular accessible work of art by sculptor Tobias Rehberger and architect Jürgen Mayer H.
Business ideas for „Shaping Mobile Life“ qualifying for the distinction of ground-breaking innovation in the field of mobile applications could be discovered at the CODE_n presentation at the CeBIT 2012. The jury of the global innovative competition CODE_n 12 selected 50 finalists from over 400 submissions. 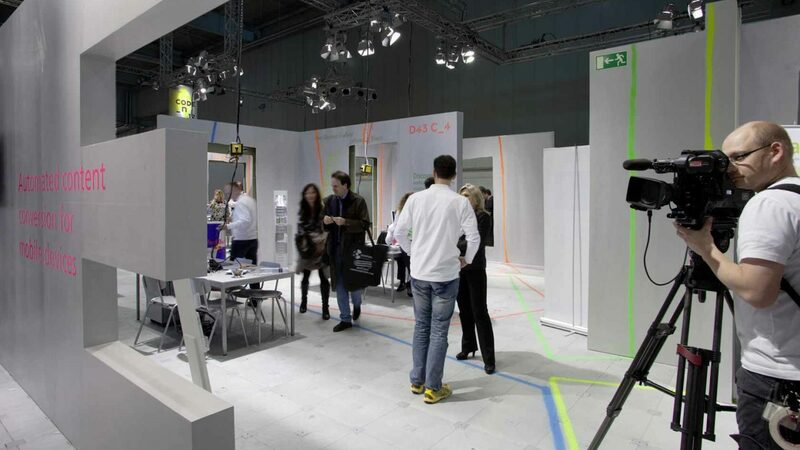 Approximately 3,500 square meters in hall 16 were allocated for the presentation of the finalist´s solutions. 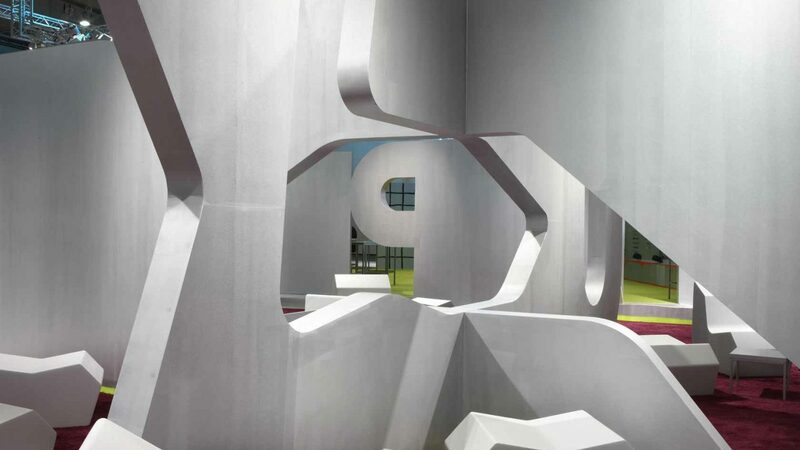 The presentation at the heart of the fairground was an accessible work of art - spectacularly designed by the renowned sculptor Tobias Rehberger and architect Jürgen Mayer H.
Milla & Partner consulted the competition initiators in the development phase of the brand CODE_N. 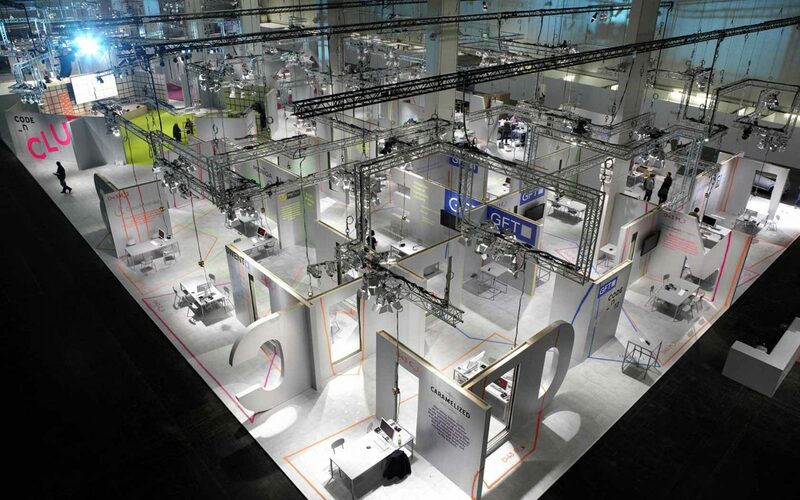 The conversion of this formidable artistic concept into a functioning trade fair stand also lay in their hands. 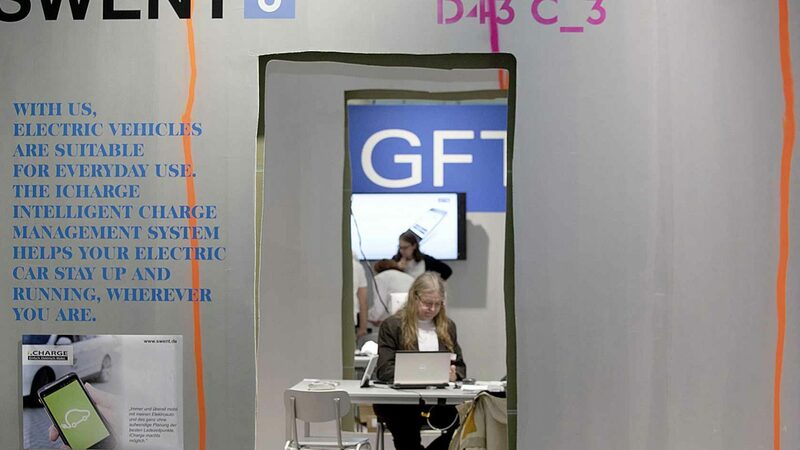 Die Ausstellung der Finalisten des internationalen Wettbewerbs Code_n (Code of the New) auf der Cebit 2012 in Hannover setzte sich sowohl inhaltlich als auch gestalterisch von der restlichen Ausstellung ab.